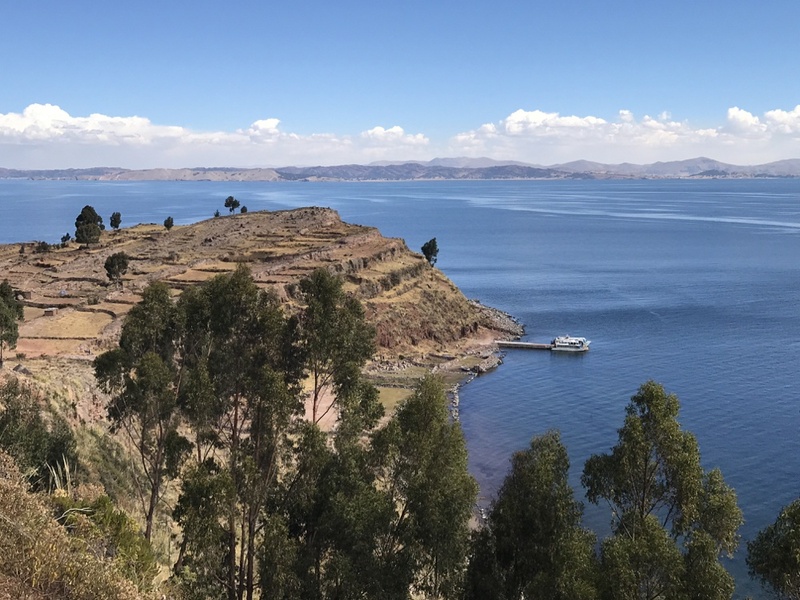 To be entirely fair, the location of Hotel Titilaka is pretty spectacular on its own For one, Lake Titicaca claims the spot as the highest navigable lake in the world. Just how high is Lake Titicaca? The elevation of Lake Titicaca comes in at more than 3800m (12,500 ft). Many travelers to Peru are also irresistibly drawn to the Lake Titicaca floating islands (I know I was). These 40-plus reed islands are home to a little over one thousand Uros indigenous people. Add to this the experience of a spectacular hotel property, and you have a pretty amazing Peru vacation. 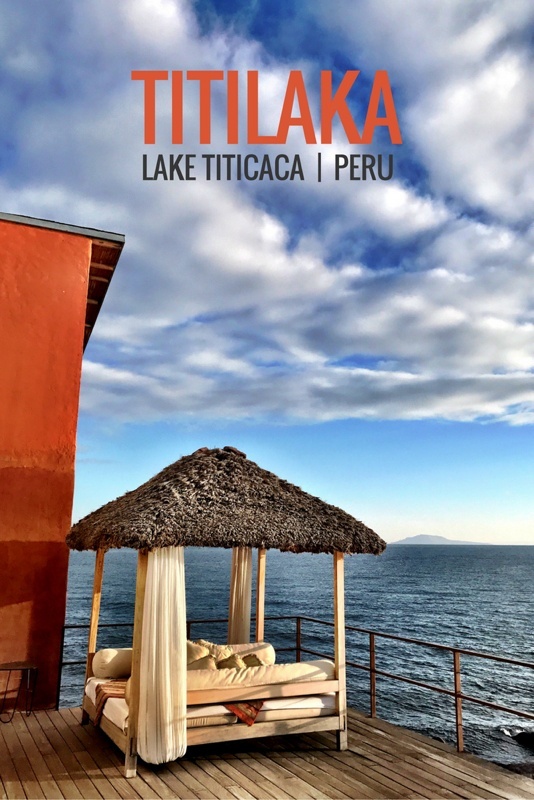 In the following post, I will share with you a little about our gorgeous stay at the luxurious Titilaka lodge while on a Peru family vacation. Want a quick preview? Check out our three minute Youtube video of Titilaka. Titilaka sits along the banks of Lake Titikaka — with all 18 rooms having stunning lake views (for either sunrise or sunset). 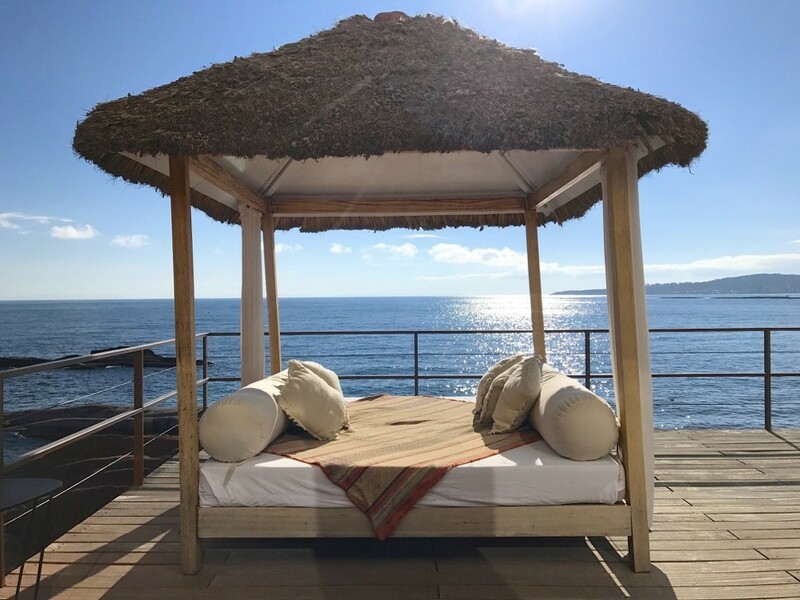 The gorgeous, airy, interiors of this luxury property are a creation of brother and sister team Ignacio and Sandra Masías, who are also credited with two gorgeous boutique luxury hotels in Lima, Peru —Hotel B and Ātemporal. Along with many other accolades,Titilaka was named to Condé Nast Traveller’s 2017 list of the 20 Best Hotels in the World. For many people, a Peru travel itinerary can be quite active, as they endeavor to experience the best of the country (whether it be heading to the jungle or trekking to Machu Picchu). One of the beautiful things we discovered about Titilaka, was that it allowed us a few days to slow down. 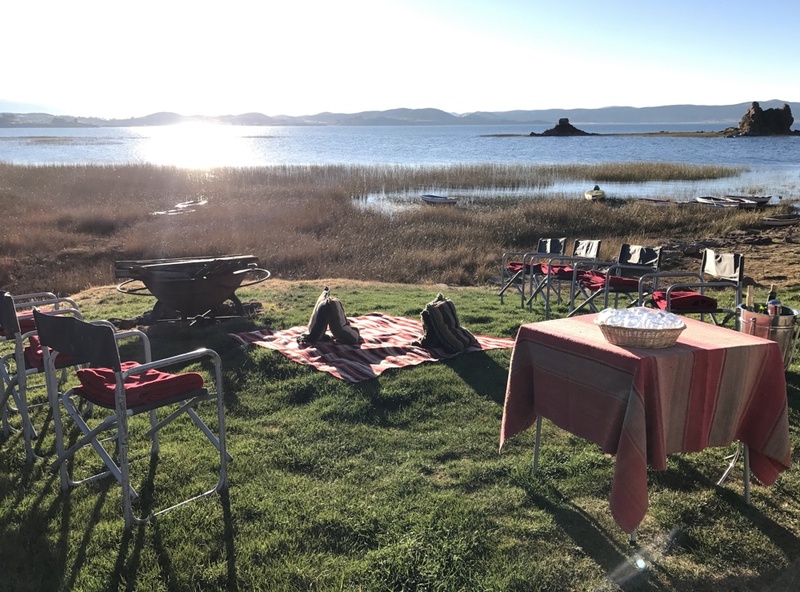 While we still enjoyed getting out and seeing the highlights of the area, we also had plenty of time to relax, read, savor the fine food, and watch the sun rise and set over Lake Titicaca’s shimmering waters. It was a lovely, much needed break in an otherwise quite frenetic Peru itinerary. Titilaka offers a number of interesting excursions that are included in a stay. For us, a day trip to the Lake Titicaca floating islands, traditional home of the Uros, was a must. 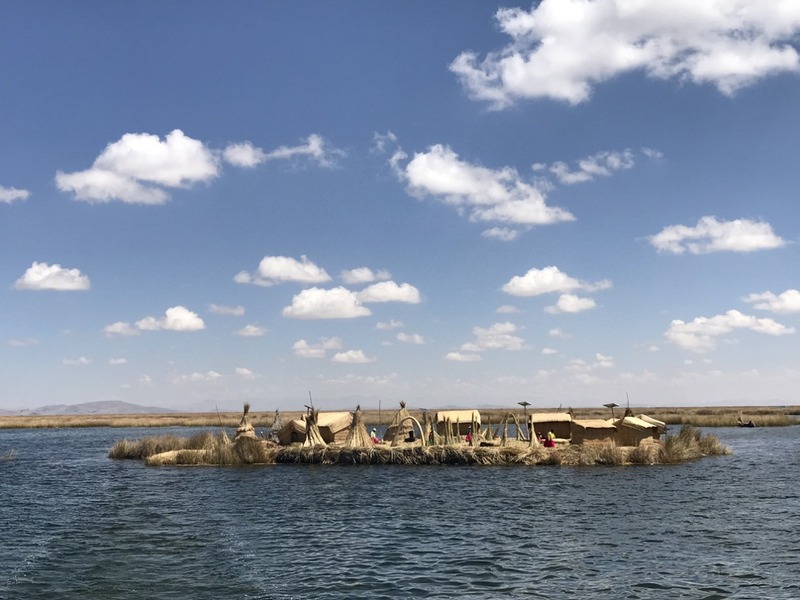 While enjoying a short visit to an island inhabited by several families, we learned about their many uses of the lake reeds as well as their traditional fishing methods.This particular day trip also included a visit to nearby Taquile Island for a lovely outdoor lunch and weaving demonstration. UNESCO recently included the unique Quechua textile weaving of Taquile on their Masterpieces of the Oral and Intangible Heritage of Humanity shortlist. 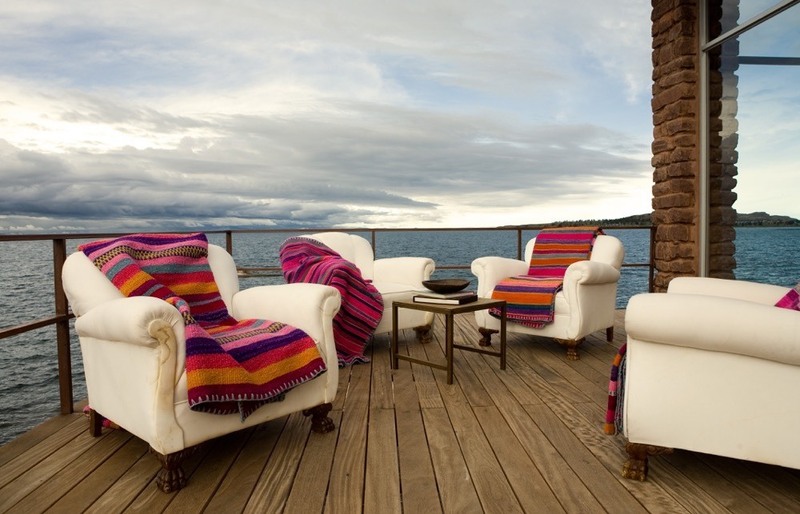 In addition to the Titicaca floating islands day trip, the lodge offers an extensive list of tour options for guests, including a colonial temple visit, rafting through the Titicaca lake reeds, an visit to Lampa (also known as The Pink City), local market and festival excursions, a cycling adventure, and more. One very special day tour (additional cost), is the option to cross into Bolivia to visit the legendary Puerta del Sol (Gate of the Sun) archeological site. Titilaka has also recently added a boathouse to offer guests the opportunity to sail, kayak or canoe on the lake. See a full list of Titilaka excursions here. 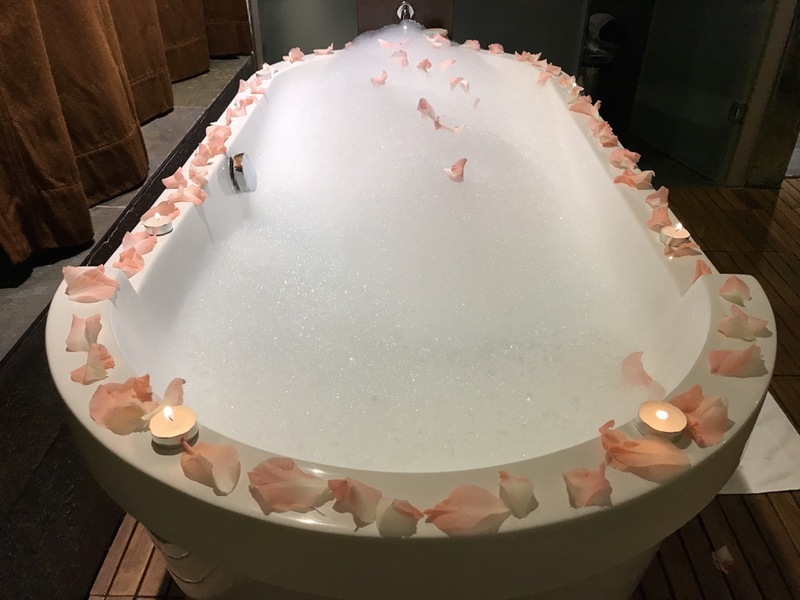 For those looking for some relaxation, there is a gorgeous rose petal bath butler service (hugely popular with my daughter), afternoon tea service, a massage room, a media room and a nice little store to peruse full of well-curated Peruvian handicrafts and clothing. Perhaps our favorite thing at Titilaka was the gathering of guests for sunset cocktails. It was such a lovely way to way enjoy happy hour — cuddled into chairs with cozy blankets, and warmed by a fire as the sun slipped below the horizon. 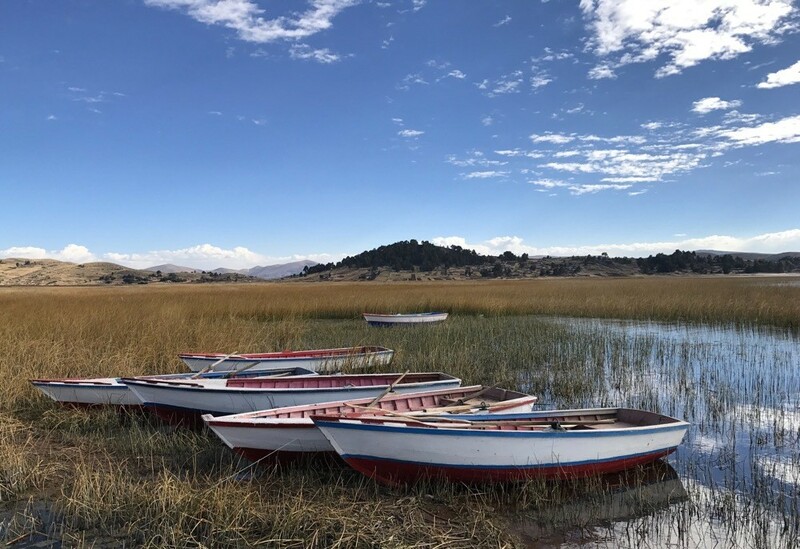 While I initially thought that getting to Lake Titicaca might be difficult, it was in fact quite easy to work it into our larger Peru vacation. For those intending to visit, I would very much encourage leaving Lake Titicaca until after Machu Picchu and Cusco. The reason for this, is that your body acclimatizes to altitude over time. A logical progression, is to work your way up from Machu Picchu (elevation 2000m) to Cusco (elevation 3400m) and then to Lake Titicaca (elevation 3800m). There are daily flight from Cusco to Lake Titicaca (Juliaca Airport) as well as from Lima and Arequipa. Titilaka provides a seamless airport (or train station) pickup service, transporting you in comfort during the 2 hour drive to the lodge. You are well taken care of with a nice selection of snacks and drinks for the journey. They even took the time to check our oxygen levels before leaving the airport. A-la-carte lunch and dinner with wine included. Cocktails, tea time and mini bar in room. Half day and full day excursions on lake and land. Roundtrip transfers between Juliaca Airport or Puno Train Station and hotel. Donation of US$10 for conservation. Programs in the surrounding communities. Check Reviews For Titilaka Here. Note: Children 5-12 years are welcomed at a discounted rate (approximately 1/2 of the adult rate). Children 5 and under are free. We visited Titilaka with our two children (10 and 12 years) as part of a larger Peru family vacation. We were delighted by how welcome our kids were made to feel at this exclusive property. While younger children can stay at the lodge, it is fair to say that it is most suitable for children 5 years and up. Nanny services are available upon request and the media room has a nice selection of board games. Disclosure: We were welcomed with a complimentary stay at Titilaka. All opinions are entirely my own. As always on this site, I like to encourage you to also read recent reviews from other travelers prior to making a booking.